People these days are quite particular in terms of privacy when browsing online, especially if they are logging into personal accounts. That might be when you don’t want pre-filled forms and cookies. Of course, Incognito mode also servers another common purpose - hiding your naughty trails on a shared computer. Usually, when people hear of Google Incognito mode for browsing, they have this sense of security with using the browser. Who wouldn’t? The browser does not allow history snooping, no saved credentials, no information collected, and no saved cookies. These unique features of Incognito mode might be thought of as an anonymity blanket, but that cannot be further from the truth. 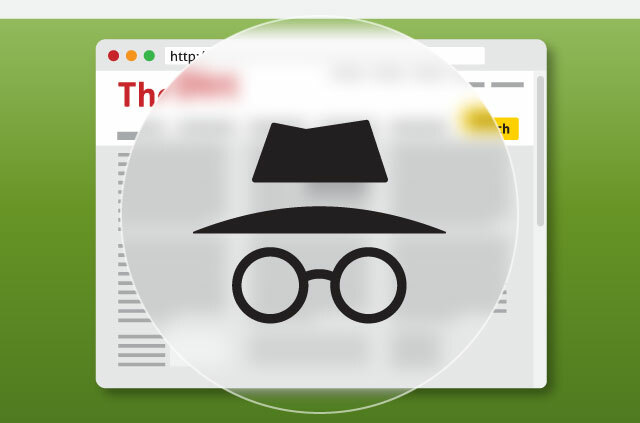 To What Extent Does Incognito Protect You? Using Incognito mode for online streaming and browsing is one good practice, especially for a household having a shared computer. When using Incognito Mode, the browser starts anew every time you open it, and without a saved browsing history, it will be as if you were never there to the next person on the device. Cookies are one of the culprits why someone’s online activity gets traced. These are small embedded files left on your computer for the sites you visited. Usually, it is the website’s cookies that takes note of your identity and the activity you had on their website. With Google Incognito, even the login credentials you used for accessing an account will be deleted the moment you close the browser. Also, without knowledge of your browsing habit, advertisers will not be able to target tailored ads at you, leaving you the haunting sense of being followed every moment. While cookies remain the most widely used ways of collecting user information, browser fingerprinting is becoming increasingly popular. The sites gather information about your browser instead of placing cookies. If enough information is gathered - such as what extensions you use, what fonts you have installed etc, websites can effectively identify you to a probability, and Incognito mode shields you from this. So How Are You Still Traced in Incognito? In an office set up where everyone is connected to the company’s internet, and even with Incognito, your system admin will still be able to check on the sites you are browsing simply because they have the access to your computer any time. Aside from the office set up, it is still not a guarantee that your information and activities are private using your computer at home. Even in Incognito mode, your DNS (Domain Name System), also known as internet address ‘phone book’ is your ISP’s way of tracking you and your online activity. What happens is that when you visit a website using the browser, your IP address requests are stored in your ISPs DNS server. They can also track you through the request records in their proxy server. These days, privacy is privilege rather than a right. Privacy-conscious users are in search of simple, reliable ways to be protected online, and Incognito Mode is not the answer. Getting a premium VPN service to couple with Incognito is the best hassle-free way to get guaranteed security, anonymity and privacy. When choosing a VPN provider, make sure it uses strong encryption. A good benchmark would be ExpressVPN’s 256-bit Advanced Encryption standard, the same model adopted by the U.S. government to protect its confidential assets. If you’re not exactly a techie, go for one that has an simple user interface with pre-configured setting options. Customer support is also very important should you need help choosing servers for specific geo-unblocking needs. Lastly, go for one that is compatible with multiple devices such as Windows, Mac, Android, iOS and even routers, so you can be protected everywhere where you might be at risk.